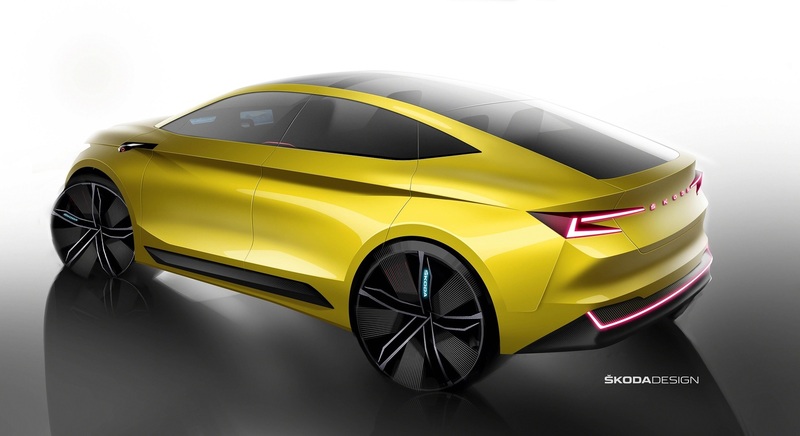 The all-electric VISION iV concept study offers a look ahead at ŠKODA’s electric future. 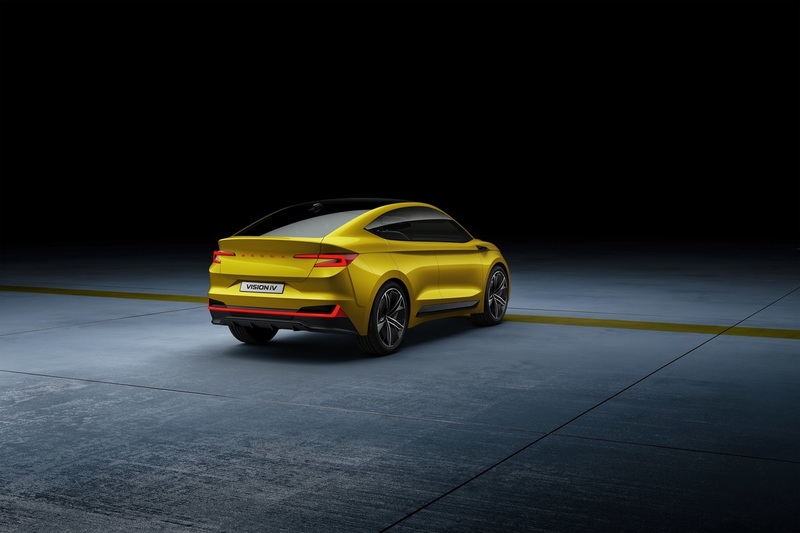 By introducing its first vehicle to be based on Volkswagen Group’s MEB modular electric car platform, ŠKODA is taking the next step in its journey towards eMobility. 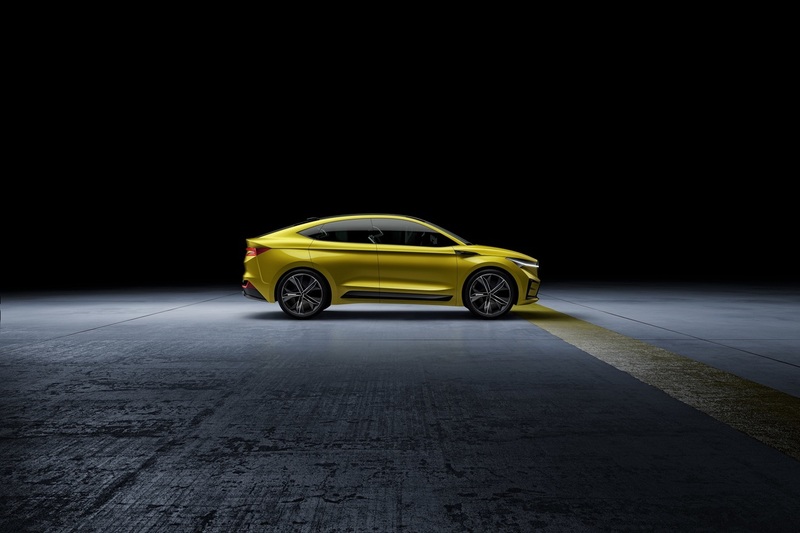 The four door crossover coupé impresses with sporty, emotive lines and exudes a feeling of spaciousness. 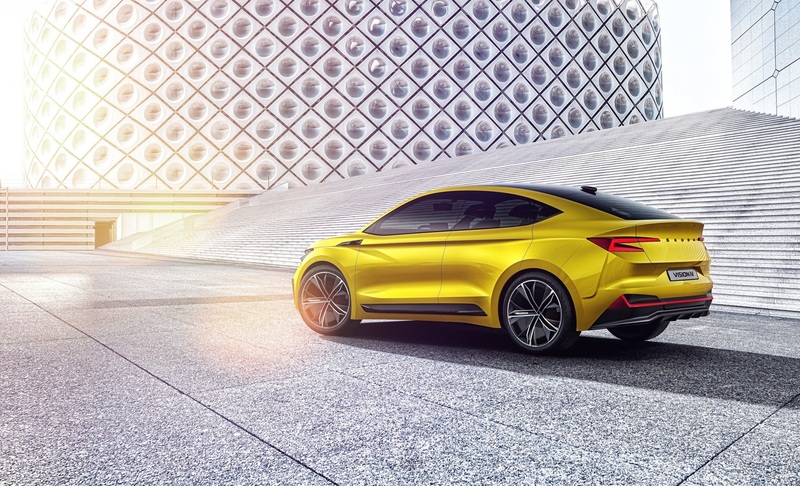 A dynamic driving experience is ensured by all-wheel drive and two electric motors outputting 225 kW (306 PS). 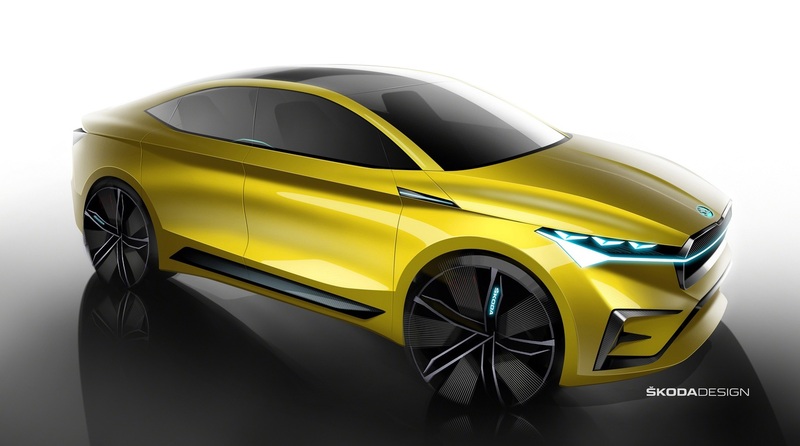 The ŠKODA VISION iV is 4,665 mm long, 1,926 mm wide and has a height of 1,613 mm; its wheelbase measures 2,765 mm. The concept study gleams in Ultra Yellow – a multi-layered paint finish that contains organic gold pigments to create the effect of different shades. The radiant surface is complemented by matt design features in anthracite, providing the car with a rugged and modern look. The lower level of the instrument panel features striking decorative birch veneers with a matt finish that are extremely ductile and strong yet lightweight. These replace the classic air vents and create a sense of a natural flow of air. The wooden slats span virtually the entire width of the interior and are proof of the ŠKODA designers’ attention to detail. This is also evident in the illuminated door handles, the shape of which resembles those found in classic ŠKODAs such as the POPULAR. The airy feel and the generously spacious interior of the ŠKODA VISION iV are accentuated even further by a panoramic glass roof. The VISION iV’s steering wheel also boasts a new design. It features just two spokes and ‘ŠKODA’ in block lettering instead of the usual ŠKODA logo; below it, a metal brace echoes the front of the vehicle. Buttons and particularly well-crafted knobs that appear to float on the steering wheel are both exquisitely designed and simple to use. The driving mode can be selected on the steering wheel; thus, all controls can be found together in one central position, in easy reach of the driver. The particularly lightweight swivel seats also contribute to the airy, spacious feel. The seats are covered in Dinamica®, a suede substitute that does not contain any animal-derived components, and includes perforations that shimmer with golden accents. Dinamica® is partially made from recycled polyester, which is also used for T-shirts and plastic (PET) bottles for example. Recycling polyester reduces CO2 emissions by approx. 80% compared to the production process using conventional materials. The backrests boast covers made from vegan vinyl fibres, whilst seat inserts feature a unique perforation pattern with golden accents. The footwell is covered by tufted floor mats made from pure bio-degradable wool. 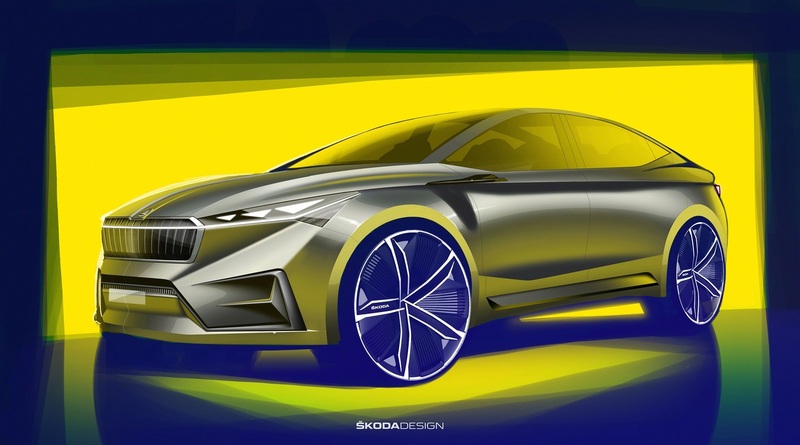 For the VISION iV, ŠKODA has drawn on Volkswagen Group’s MEB modular electric car platform. The zero-emission car is powered by two electric motors – one on the front axle and one on the rear axle. This means the car features all-wheel drive that can react according to the current situation. The car’s power output is 225 kW (306 PS) and it has a top speed of 180 km/h. 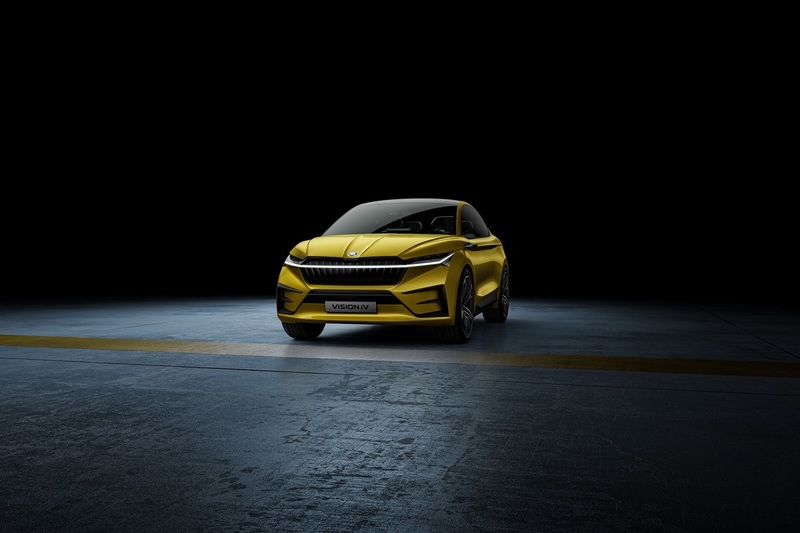 Thanks to maximum torque being immediately available at all times, the VISION iV can reach a speed of 100 km/h from a standing start in just 5.9 seconds; the short burst from 80 to 120 km/h takes less than 4 seconds. The car also boasts a maximum range of up to 500 km in the WLTP cycle. Modern laser scanners and radar sensors enable the car to accurately assess its surroundings. A high-performance computer with a great deal of processing capacity interprets the data. Assistance systems such as Traffic Jam Assist therefore work particularly precisely and quickly. 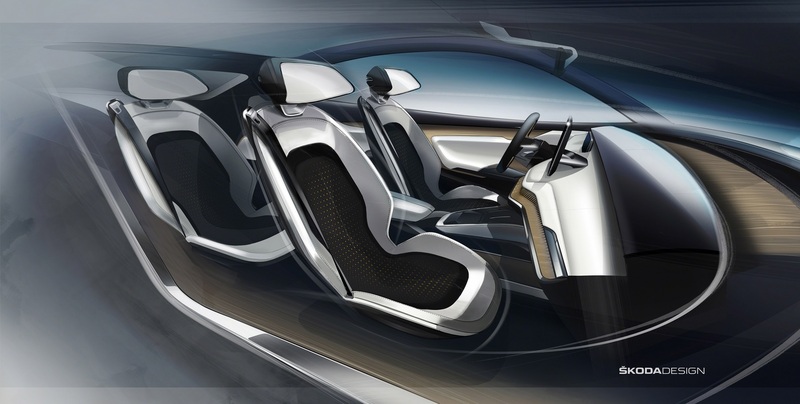 The ŠKODA VISION iV can be driven autonomously at level 3. This means it can completely take over steering on motorways, for example. Here, the systems control overtaking and evasive manoeuvres, accelerate and apply the brakes. In dangerous situations, the driver is prompted to take over the steering wheel again within a defined time frame. From level 3, vehicles also communicate automatically with other vehicles, allowing them to inform one another of potential dangers. 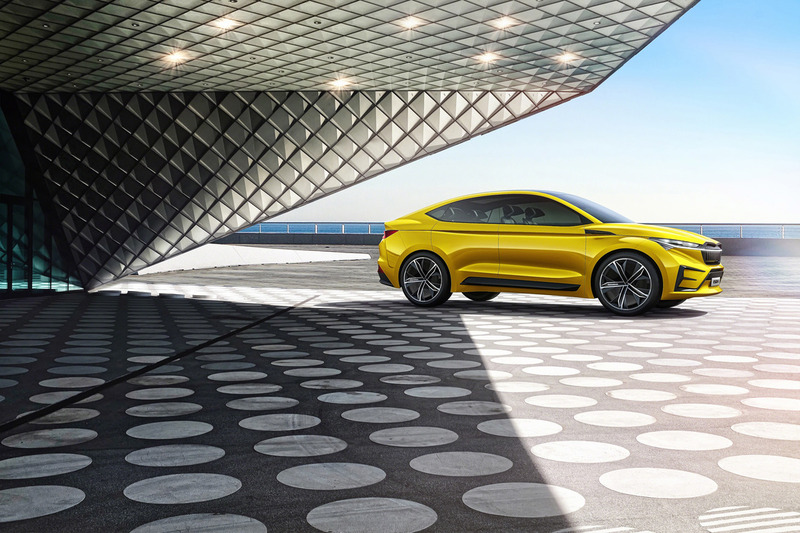 In addition, the ŠKODA VISION iV can also communicate with infrastructure. 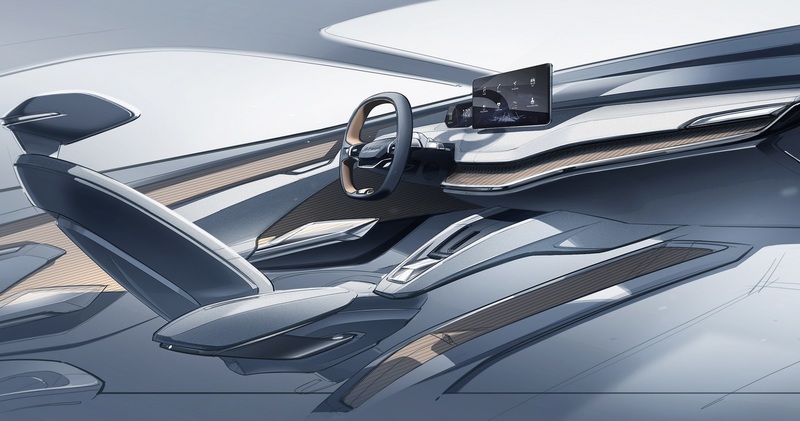 The VISION iV is perfectly aligned with the needs of modern society and fully integrates smartphones as part of its operating and infotainment concept. The doors can be unlocked using a smartphone as a digital key. Inside the vehicle, the driver and front passenger’s mobile devices can be placed in the centre console, where they are inductively charged and wirelessly integrated into the latest-generation infotainment system. Furthermore, the VISION iV can be controlled using gestures, and – thanks to intelligent speech recognition with online support – can understand entire sentences and even dialects. Upon opening the VISION iV, the driver is greeted by a specific welcome logo visible on the seemingly floating display. 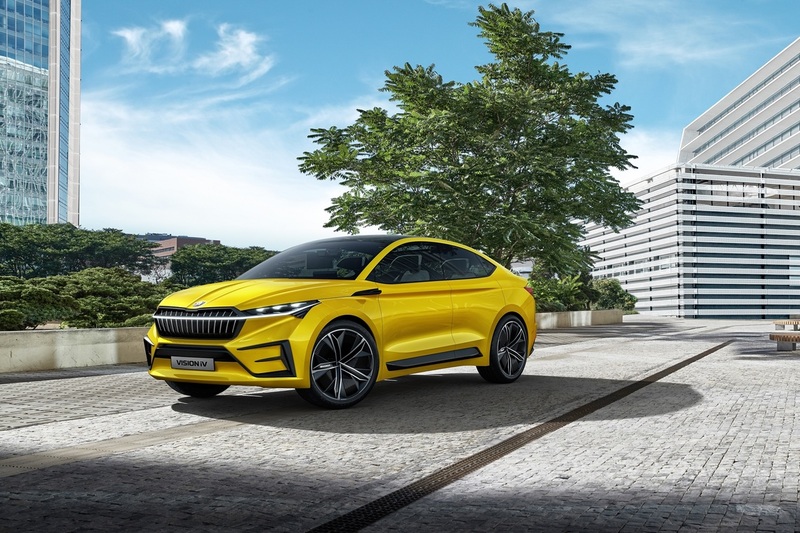 A permanent 5G connection enables the use of ŠKODA’s numerous online services such as Infotainment Online and Care Connect. Infotainment Online provides Online Traffic Information in real time, weather reports or information about available parking spaces, for example. 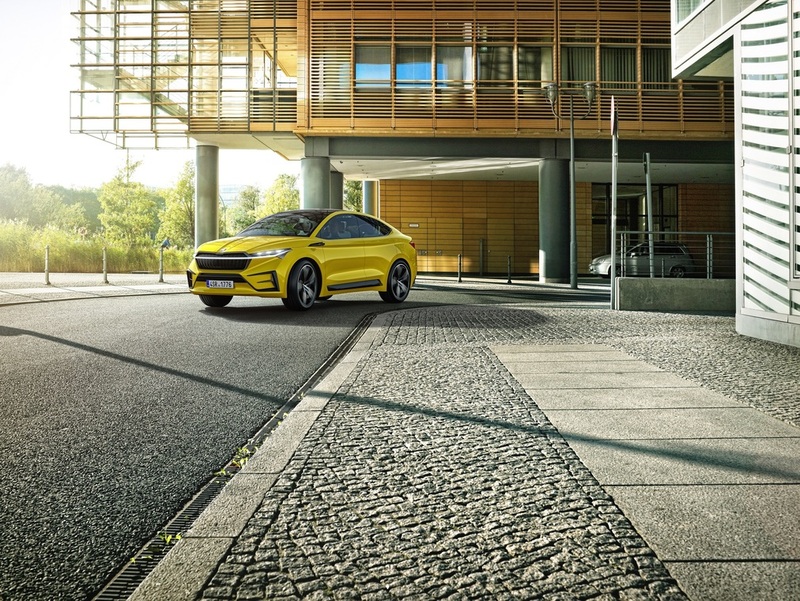 Care Connect includes Proactive Service and remote vehicle access via the ŠKODA Connect app or web portal. 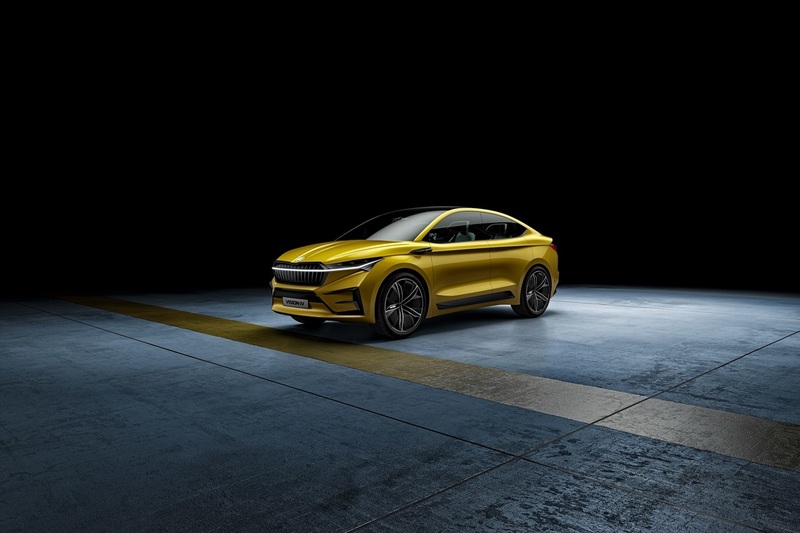 ŠKODA AUTO is entering the era of eMobility in 2019 – marking a milestone in the brand’s 124 year history. The ŠKODA SUPERB featuring plug-in hybrid drive and the all-electric ŠKODA CITIGO are the Czech manufacturer’s first electrified models. 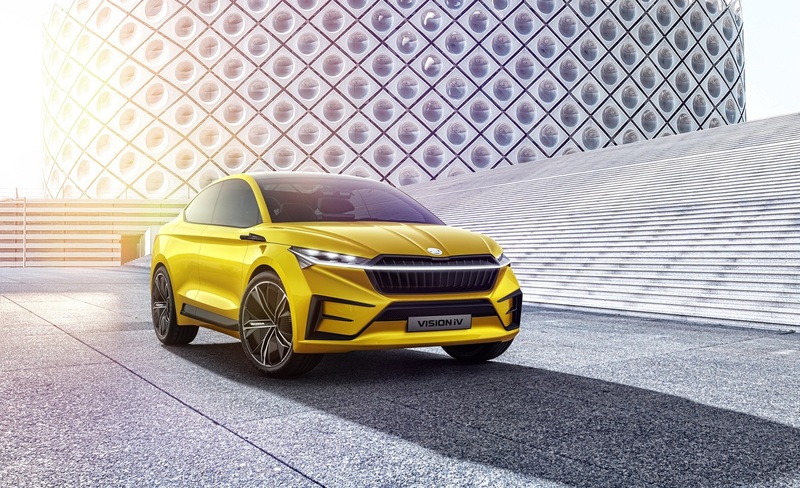 ŠKODA’s first model to be based on Volkswagen Group’s MEB modular electric car platform will follow in 2020. 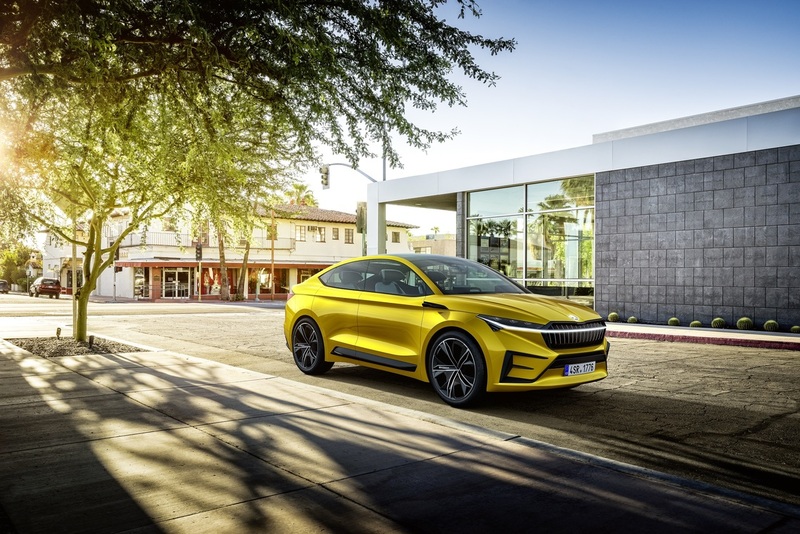 Over the next four years, ŠKODA AUTO will invest around two billion euros in alternative drive systems and new mobility services – the largest investment in the brand’s history – and will have launched ten electrified models by the end of 2022. 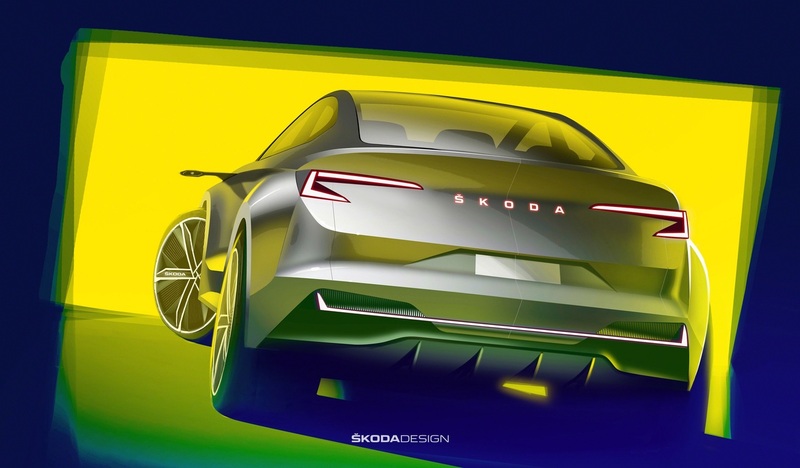 Oliver Stefani, Head of ŠKODA Design, explains on ŠKODA Storyboard, which design features of the VISION iV will be typical for future ŠKODA EVs. 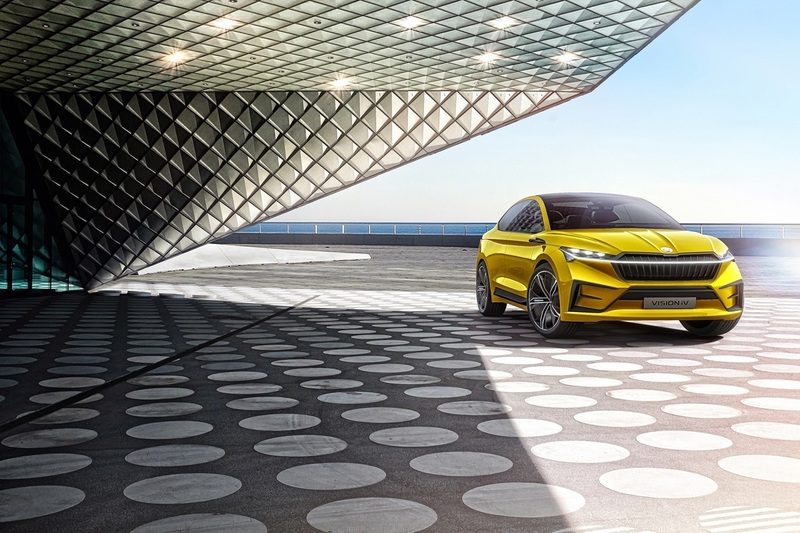 The world premiere of the ŠKODA VISION iV concept study took place at the Geneva Motor Show from 5 to 17 March, 2019.